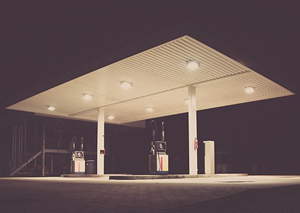 Pat: This month, Parkland Fuel agreed to buy some of Imperial Oil’s remaining Esso stations. Would you share your opinion on Parkland? Thank you. Pat: I bought a few shares of Parkland Fuel in my RRSP back in 2009. It has given me a solid return. What is your recommendation on this stock going forward? Thanks. Hi Pat: Could you give us an update on Parkland Fuels? They are continuing to make acquisitions, and the stock continues to rise. Would you consider it a buy now? Regards. Pat: Could I have your opinion on Parkland Fuel Corp.? They have a really good dividend yield. Thanks. Parkland Fuel Corp., $16.86, symbol PKI on Toronto (Shares outstanding: 69.7 million; Market cap: $1.2 billion, www.parkland.ca), operates gas stations, convenience stores and a fuel distribution business, mostly in western Canada and Ontario. Hello again Pat: I bought Parkland Fuel Corp. about 18 months ago and have enjoyed the wonderful yield and am up 60% on the stock value. I am tempted to realize my capital gain. What are your thoughts on this stock? A: Parkland Fuel Corp., $19.56, symbol PKI on Toronto (Shares outstanding: 67.7 million; Market cap: $1.3 billion, www.parkland.ca), operates gas stations, convenience stores and a fuel distribution business, mostly in western Canada and Ontario. Pat: I bought Parkland Fuel in October 2010 at $11.50 share. Today it’s almost at $17. It pays a good dividend. Is it a sell at this level? Thanks. Parkland Fuel Corp., $16.97, symbol PKI on Toronto (Shares outstanding: 66.6 million; Market cap: $1.1 billion, www.parkland.ca), operates gas stations, convenience stores and a fuel distribution business, mostly in Western Canada and Ontario.